IT’S FLAMING JUNE ONCE MORE and that means the annual Lowdham Book Festival, a very favourite series of events of mine in a local Nottinghamshire village. Driving into the village and observing a new 20mph limit on Main Street, Saturday’s fluffy white clouds were punctuated by spells of very warm sun shining on the familiar homes and businesses lining the village’s main thoroughfare. My destination this afternoon was mainly about a visit to the quaint Methodist Chapel for a talk promoting a book about a somewhat little-known Nottingham sportsman, one Herbert Kilpin, by author, Robert Nieri. The book being the product of a labour of love and some thorough and serous, yet enjoyable sounding research in Northern Italy and nearer home in Nottinghamshire. 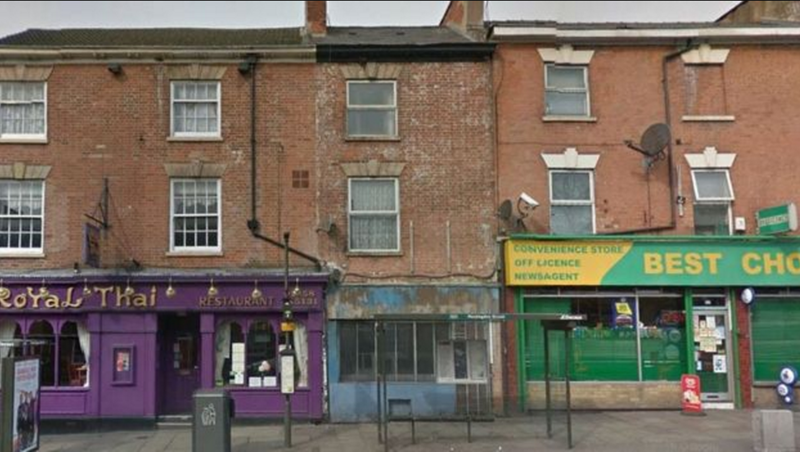 Hebert Kilpin, termed ‘The Lord of Milan’ was the ninth of fifteen children born to a butcher at 129 Mansfield Road, Nottingham, a modest and narrow building still situated though renumbered since Kilpin’s day. Young Herbert was a keen footballer and played for local amateur teams the Garibaldi Reds and Nottingham Olympic on the nearby Forest Recreation Ground, where Nottingham Forest were named. Herbert entered the lace trade as an assistant in Nottingham, working in the Adams Building on Stoney Street in the city, as the author explained in a job that entailed him running up and down spiral staircases in the warehouse all day long, helping him keep fit for his football. It was here that he met Edoardo Bosio, an Italian-Swiss merchant and football innovator who formed the Internazionale Torino Football and Cricket Club. Herbert at 21 years, was persuaded to join Edoardo in Turiin to work in the textile industry and to play for the Torino club. 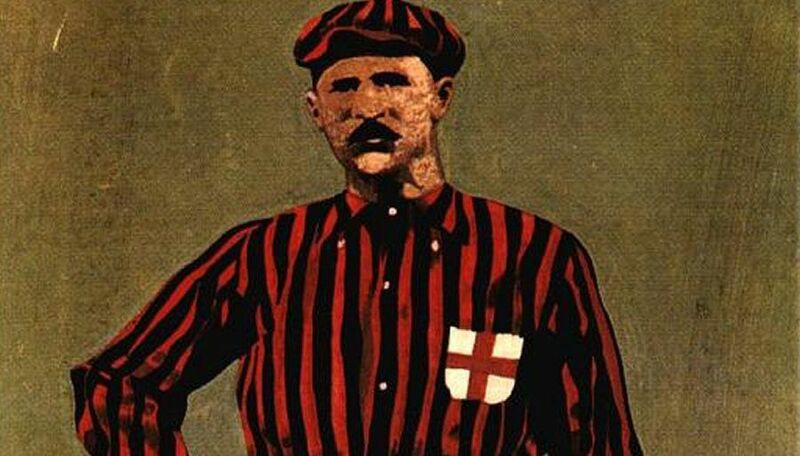 After a period, the Nottingham man moved to Milan to work where he continued to commute each weekend to Turin to play for Bosio’s club, probably a three-hour train journey each way in those days. Eventually, Herbert decided to form a club of his own in Milan. What followed changed the history of Association Football as the early AC Milan came into being, the storied Italian team in the famous red and black strip, chosen by Kilpin for its intimidatory qualities, which became for a period the word’s top club with fully seven European Cups to its name among other significant European and domestic silverware. A few years ago, Milan supporters became interested in the origins of their founder and a number visited Nottingham to see the home where he was born in 1870. Unfortunately, at that time, some were unaware that since Kilpin’s day the buildings on Mansfield Road had been renumbered due to the building of the Victoria Railway Station down at the foot of the road. This resulted on some of the Italian fans reporting and visiting erroneously a restaurant some doors away. This misapprehension has been corrected since and a small ceremony held to herald Kilpin’s real home. Recently, a former long-closed restaurant in Nottingham has reopened as a public house and happily been named as The Herbert Kilpin, advertising Herbert’s great achievement in initiating the huge Italian football club. A city bus which travels Mansfield Road has been named after him and a youth football trophy is also named after him. Affable, informative and pleasant speaker, Robert Nieri told us that he had been involved in talking to children in local schools about Herbert’s amazing story, of his modest skills but huge determination and spirit and that this is what the schoolchildren reported they took from the butchers son’s story – that you can achieve anything you want to in life given the determination and work ethic. Perhaps this message was Herbert Kilpin – The Lord of Milan’s greatest achievement of all.